In the ultraportable sector these two laptops sit at the top of the design tree and simply must be compared. 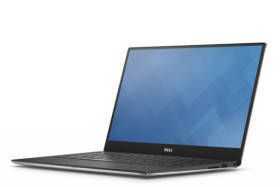 Specifications, weight and even price are different though and it can’t be denied that although the Macbook 2015 is a minimalist’s dream, the Dell XPS 13 offers higher processing power and more ports for less money. Take cables and converters into account and the Dell XPS might even be lighter overall. 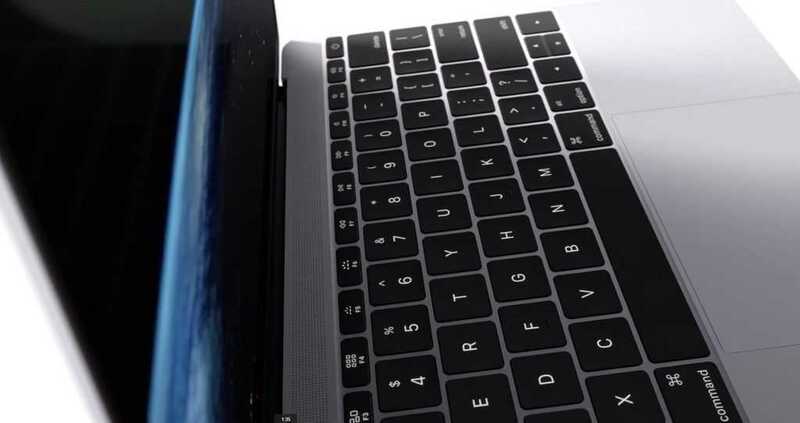 USB-C and Core M define the Apple Macbook 2015. By removing ports, the fan (silence!) and reducing the Intel Core M motherboard to an incredibly small area Apple have been able to slim the design while still leaving room for a good battery. Previous sub-1KG laptops, like the Lenovo Lavie range, have always had an issue with battery capacity but 39.8 Wh in a 0.93 KG laptop is a healthy 43 Wh / KG. The Dell XPS 13 tackles the same issue but doesn’t quite reach the weight levels of the Macbook. This 1.2 KG (without touchscreen) laptop does, however, carry a 52 Wh which also gives you 43 Wh / KG. If you add in productivity-factors though, it looks like the Dell will win. Both the Dell XPS 13 and the new Apple Macbook can last all-day on a single battery charge so you really can leave that power brick at home. With the Macbook though you’ll have to bring cables and adaptors. Want to transfer images and videos from your camera? You’ll need a USB-C to standard USB Type A adaptor and your standard USB SD card reader. The Dell XPS 13 has a full-size SD card reader which will save time and weight. Want to connect to a monitor? You’ll need a USB-C to USB AV adaptor which won’t be cheap. Again, it will take you time and add weight. The screen on the Dell XPS 13 is also slightly larger with a higher resolution so you can argue that it too is more productive. 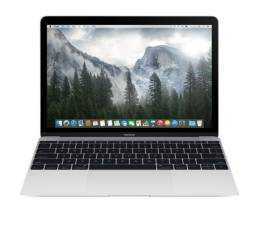 The Macbook fights back with a pressure-sensitive touchpad that could speed up actions under OS X and one can argue that you can easily work around cabled data transfer by using the cloud or local network. In that case the Macbook is going to be so much lighter to carry around – 22% lighter. In terms of processing power you have options on both platforms but the XPS 13 includes a fan which allows it to take the U-Series of Broadwell CPUs where processing power, GPU power and ability to Turbo Boost is better. 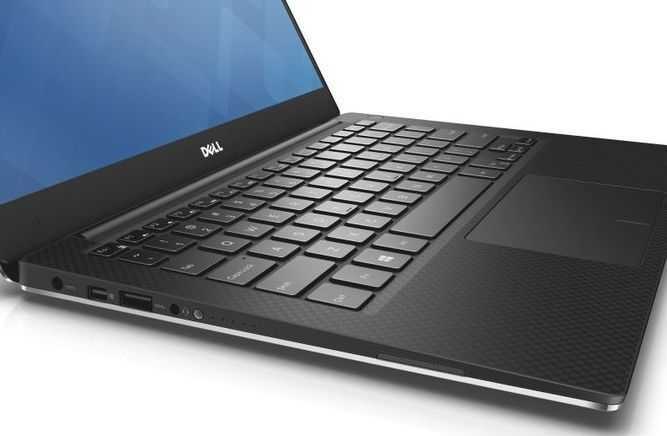 Not that Core M is a weakling; In the right design it can also boost up to Ultrabook-level speeds although it won’t reach speeds of the current Broadwell-U platform seen in the XPS 13. Finally, there’s the fan. The XPS 13 can be silent, but not if you work it hard. If you work in a quiet area (library, co-working space, bedroom) then fans can be really annoying. They also show that you’re using a lot of power from the battery. The Dell XPS 13 can run its battery flat quicker than the Macbook which is necessarily capped due to the lack of fan. For those looking at desktop gaming and complex full-HD video rendering there’s only one choice here but if you’re doing web-based work, the Macbook will probably be just as fast. Bursty page-loads are what the Core M does best. WiFi, keyboard, trackpad and longevity all have to be taken into account and we don’t have full details on that here for you today but there is one more thing to look at. Price. Obviously that will change over time but we can not ignore that the Dell XPS 13 with a Core i3, 4GB of RAM and 128GB of SSD starts at $799. The cheapest Macbook, albeit with 8GB of RAM and 256GB of SSD, starts at $1199. For that price you can also get the Dell with the same RAM and SSD and Windows 8 Pro. In a straight spec-for-spec comparison the Dell is going to win but that assumes a) that the buyer wants, or is happy with, a Windows laptop. b) that they need that extra productivity. Taking only design and style into account the Macbook, despite a strong offering from Dell, wins. Pressure sensitive touchpad works with some applications. USB 3.1 (5 Gb/s) and USB power delivery. Only 1920×1080 60fps possible via USB 3.1 AV converters. 4K output and third-screen output via Display Port. Includes backlit keys, AC WiFi, high quality/accuracy screen. Includes backlit keys, AC WiFi. High quality/accuracy screen. These products are not yet available for our full review but hands-on videos and links are available in the product pages linked above. If you have experience with the two devices, feel free to drop comments below.